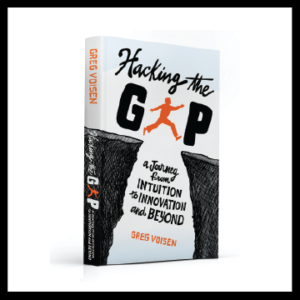 In Hacking the Gap, Greg Voisen shares his journey of discovery—and it is a testimony to the spirit of transforming one’s thinking, doing, and perhaps most importantly, the art of being. Interspersed throughout this adventure are personal stories, jewels of wisdom and precious nuggets of advice garnered from his own hard fought battles—the learning lessons of life. He draws on personal experience as well as the accumulated synergy of his extended family—many of the best selling authors and preeminent thought leaders in human potential and business innovation on the planet. 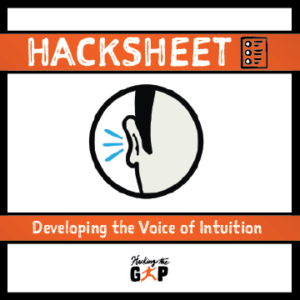 Hack Intuition, our natural ability or power that makes it possible to know something without any proof or evidence: a feeling that guides a person to act a certain way without fully understanding why. 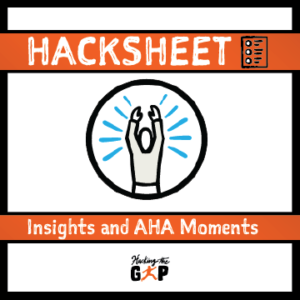 Hack Insight, the sudden understanding or grasp of a concept that is often described as an “Aha” moment—an event that is typically rewarding and pleasurable. Usually, the insights remain in our memory as lasting impressions. 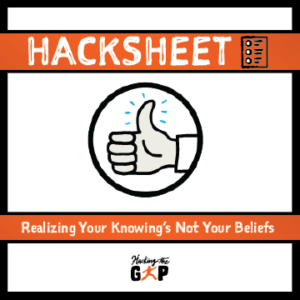 Hack Ideas, a concept existing in the mind as a result of mental understanding, awareness or activity. A thought conception, or notion. Our ideas must be captured and recorded if we are ever to make anything from them. Hack Inspiration, the divine influence or action on a person believed to qualify him or her to receive and communicate a sacred revelation. This is the point where we have a knowing that our idea is “right” and we need to take action to manifest it into reality. Hack Incubation, to cause or aid the development of an idea through the process of creating the favorable conditions to further the design and features of our product or service. Learn more about Ignition, the point in which we gain lift off of our product or service. 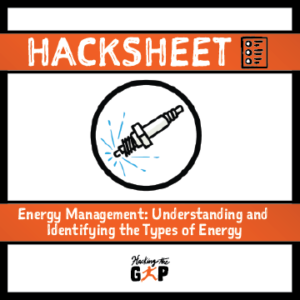 The importance of gaining the momentum prior to lift off is associated with the ability to manage our personal energy effectively to prevent burn out as an entrepreneur. 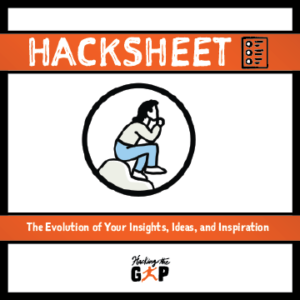 Hack Innovation, the introduction of something new, or making changes to anything that is established. This is the point at which we are ready to build, develop and create our product just prior to announcing our new product or service to the world. Hack Implementation, this state is the most difficult of all the stages. It is when we put into effect and fulfill on our product or service. We are producing, delivering and fulfilling on our client’s desires to own our new product or service. Here we get to see our dreams turn into reality.